This topic contains 0 replies, has 1 voice, and was last updated by Fredrik Reuter 1 year, 10 months ago. 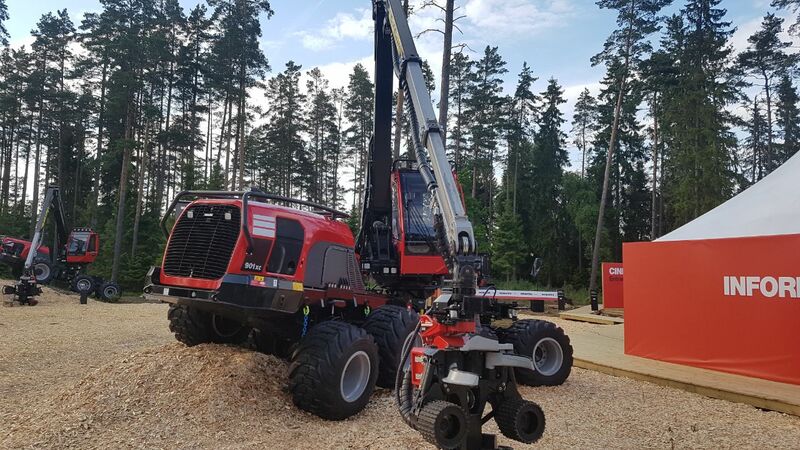 Komatsu Forest will launch an eight-wheeled harvester made thinning – Komatsu 901XC at Elmia Wood starting today. This comes maybe as no surprise, within the CTL segment for harvesters 8WD is trending now. Stability and low ground pressure are the main reasons. We will try to keep you updated in this topic. This topic was modified 1 year, 10 months ago by Fredrik Reuter.